During the 1980s and 1990s, many Arab, Moroccans entered the United States to attend colleges, universities, graduate schools, and medical schools. Thus, in the past 30 years the majority of Arab, Moroccans emigrated seeking work, opening small retail stores and restaurants for both Arab, Moroccans and non-Moroccans. Family structure is patriarchal, with the husband accorded power and the wife relegated to a subordinate status. Families tend to be large because of religious attitudes towards birth control. Many women often work outside the home and balance their career with family obligations. 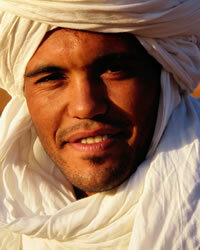 The vast majority of Arab, Moroccans practice Islam, and more specifically Sunni Islam of the Malaki madh'hab tradition. A very small minority of Arab, Moroccans identify with Judaism, specifically Sephardic Judaism. Pray that evangelical Christians will be aware of their neighbors, of whom some are Arab, Moroccans. Pray for evangelical churches to develop intentional church planting strategies, using the many God-prepared bridges to become friends with Arab, Moroccans. Pray that God will work miraculously in the lives of Arab, Moroccans, coming to them in dreams and visions of the truth found in Jesus Christ. Displaying 1-26 of 26 results.